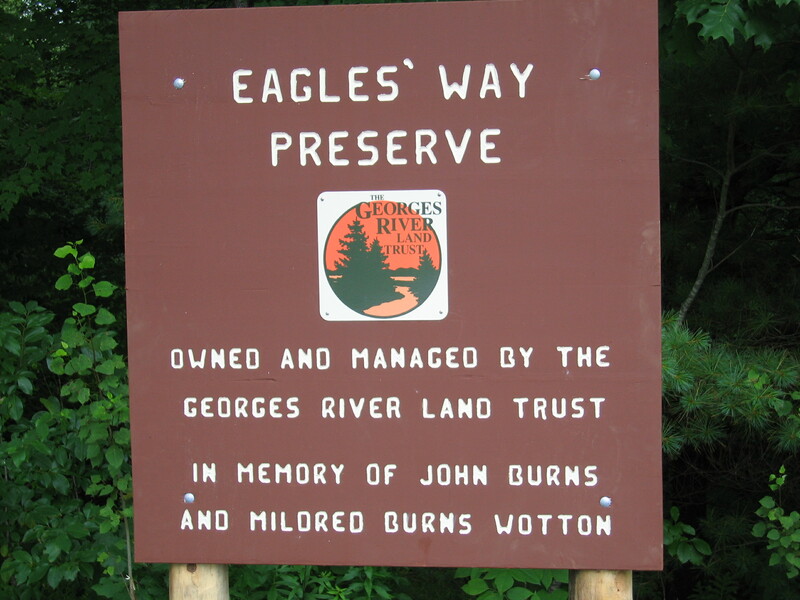 In 2005, we acquired the 66-acre Eagles Way Preserve from the Carroll Family. The family had a strong interest in the natural world and traditionally used the property for hunting, timber, and nature exploration. Surrounded on three sides by water (Fuller Brook, Georges River, and the North Pond outlet stream), local fishermen continue to use it today. The property contains an amazing assemblage of natural features including forested wetlands, rare plant species, two feeder streams, and a stunning hardwood floodplain forest. 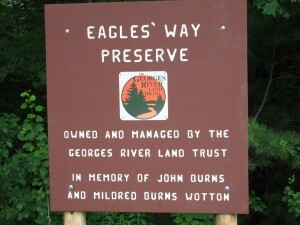 The name “Eagles Way,” chosen by the Carroll Family, is in honor of the many eagles that fly over the property and travel the corridor of the Georges River. Currently, Eagles Way Preserve does not have a dedicated parking area nor are their any trails. 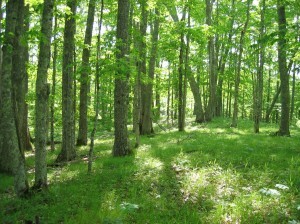 The property is open to the public for day-use only; no overnight camping is allowed. Hunting is permitted. From the intersection of Route 90 and Western Road in Warren, head north on Western Road for 2.5 miles and you will find the property on your right. There is a small lot on the opposite (left) side of the road that can accommodate a few vehicles. 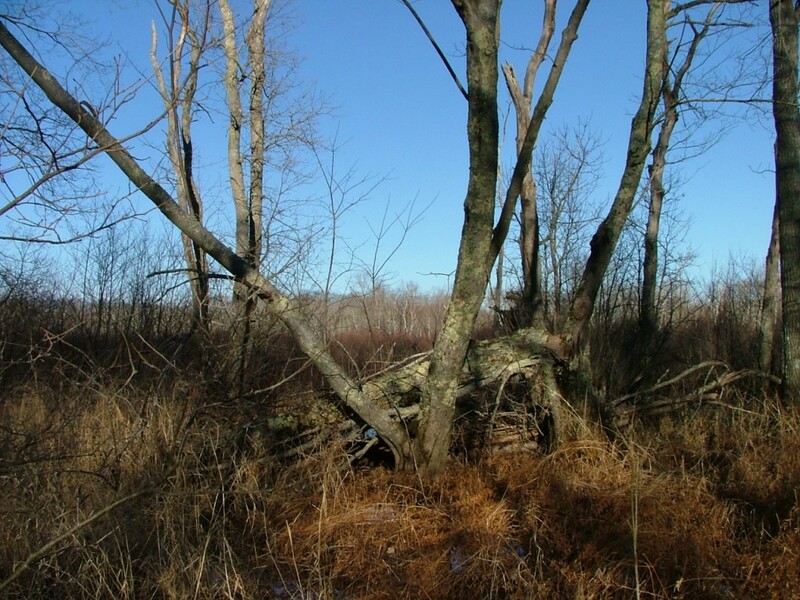 It is used by fishermen and duck hunters to access North Pond and is not owned or maintained by the land trust (see map).